You may recall from a week or so ago that I mentioned the Nested Churn Dash QAL coming up. Well, it is June and since my boys were out of town over the weekend, I made my own "mini" version of the Nested Churn Dash quilt and finished the binding last night! All of the fabrics in the top were from my scrap bins. 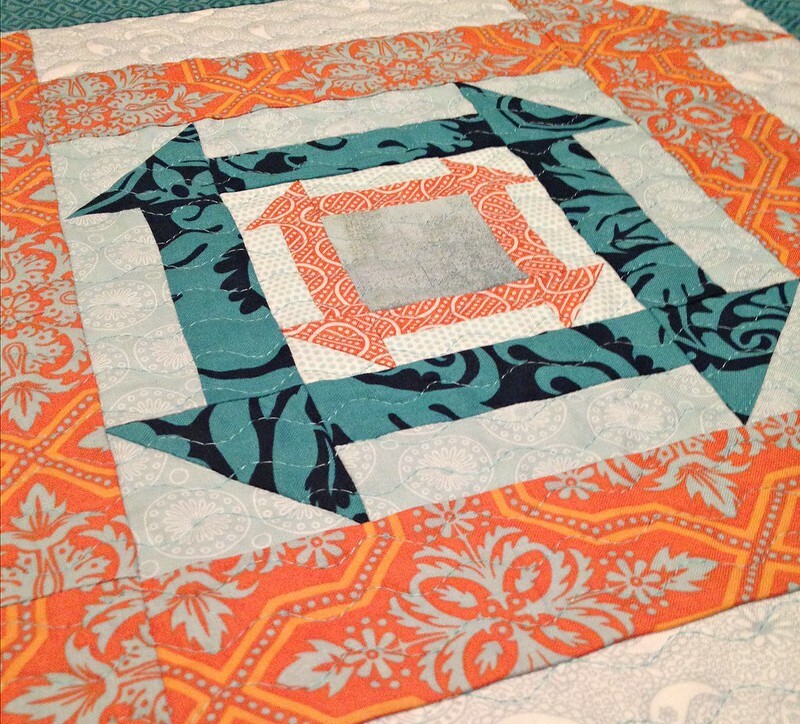 I love using up my stash and scraps! In fact, I even created a "Frankenstein" batting by sewing 2 scrap pieces together to create a batting wide enough for this quilt. 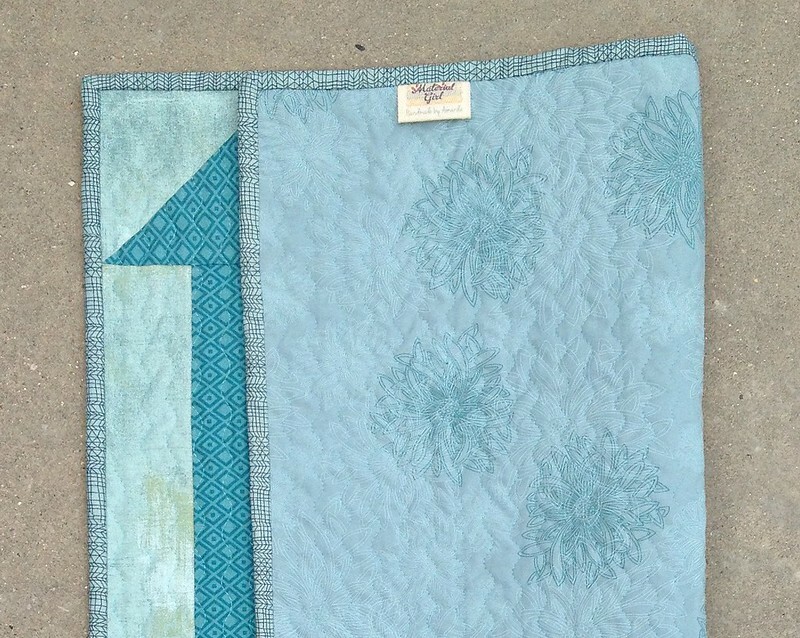 For the quilting, I used one of my favorite Aurifil colors #5006 (aqua) and quilted wavy lines spaced approximately every 1/2" to 3/4" apart. The wavy lines are created by stretching out the spacing on a zig-zag type stitch from my machine and using my walking foot. 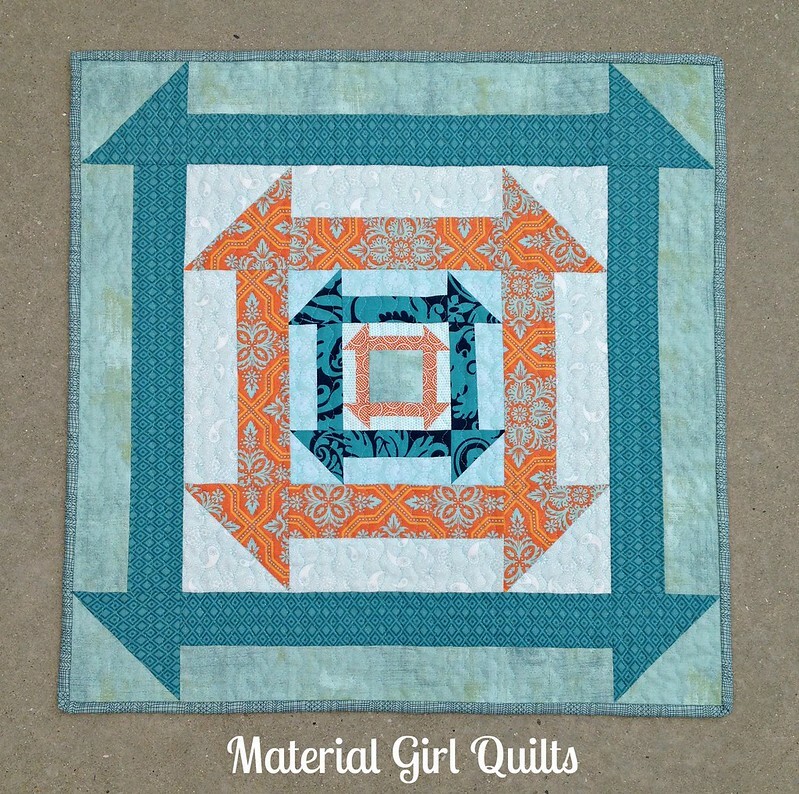 I really love the texture this type of quilting creates and it's quick and easy to do! For the back, I found the perfect grayish aqua Art Gallery print in my stash that was big enough. Doesn't it go so well with the front? And the binding was also from my scrap bin and is from Moda's PB&J line (leftover from my Picnic in the Shade quilt). 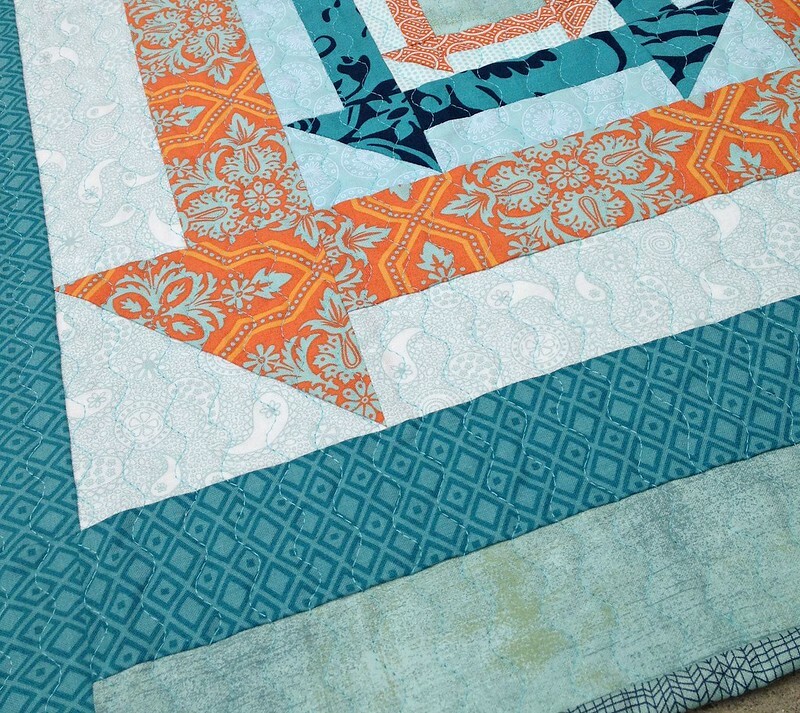 For more information on this quilt along, head over to Quilt Jane's blog for all of the details.